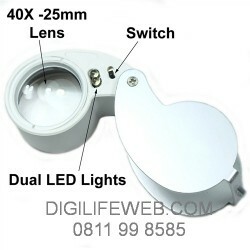 This is a mini jeweler's loupe with 40X magnification with built-in LED illumination. 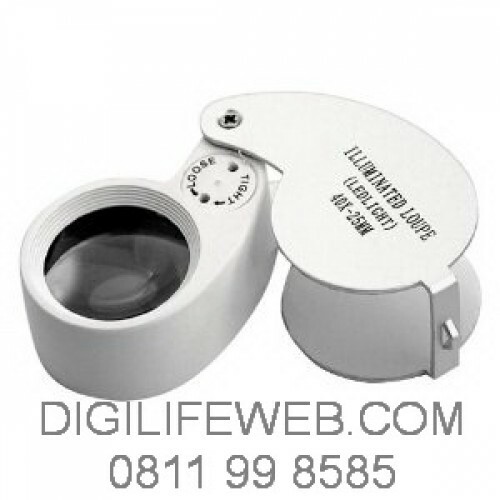 This portable and versatile loupe can be used for jewelry, gemstone, document, stamps, and currency authentication. Storage case and battery cover removal tool are included.